red lips. stamped gift tags. blue mustaches. I just wanted to stop by super quickly and say hi..."HI!!!" 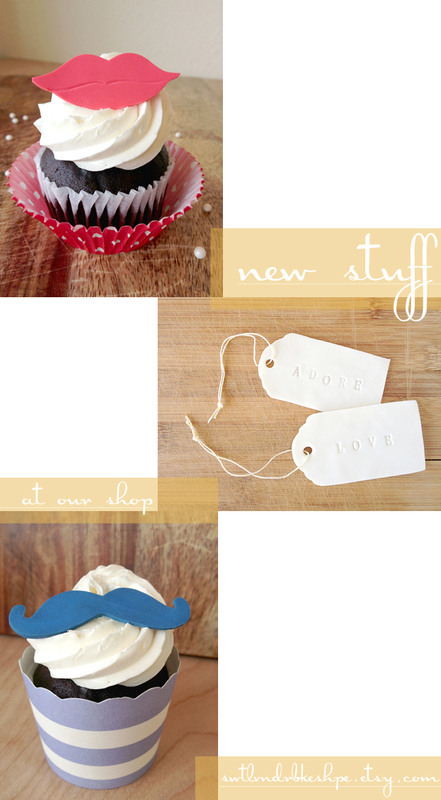 and show ya some fun new little edible decorations we've recently listed up on our shop! Just loving the fun things going on! I love t those edible gift tags!